For years describing Sean Steffy’s place in the world of competitive Wiffle® Ball has been complicated. Everyone that has ever seen him throw the ball – whether in person or via one of his many highly viewed YouTube videos – sees the immense talent he posses. Few in the history of the game can do with a plastic baseball what Steffy can. His combination of velocity and stuff is nearly unprecedented. His knowledge on how different pitches are thrown – the grips, the arm angles, the arm action – is extraordinary. Ask him how to throw even the most obscure pitches and he responds with a clear and concise explanation. His mechanics are smooth and easy which allow him – on a good day– to pound the strike zone with relative ease. Due to his talent and knack for self-promotion, Steffy is arguably the most widely known Wiffle® Ball player of all-time. That sure sounds like a player worthy of “the best pitcher in the game” title. When it comes to Sean Steffy, however, things have never been that straightforward. While few would deny that Steffy is among the most talented to ever throw the ball, it takes more than sheer talent to be considered the best pitcher in the sport. To be considered for that accolade, a player needs to compete regularly in tournaments and/or leagues, win games, and rack up some championships along the way. It is one thing to dazzle YouTube viewers with backyard bullpen sessions. It is another thing to strike out live, experienced hitters in a pressure packed tournament or league setting. Steffy has been heavy on the former, light on the later during a career that – for all intents and purposes – began in 2009 during the final year of Fast Plastic. During his career, Steffy has been plagued by an inability to win a major high quality fast pitch tournament. 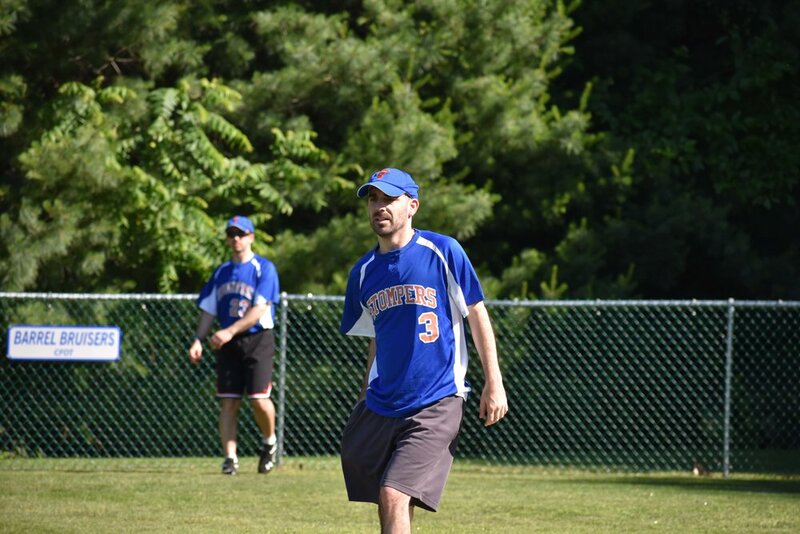 He experienced the greatest amount of on-field success during the 2014-2015 GSWL Yard League (medium pitch) seasons as a member of the Minutemen. Steffy saw little time on the rubber in each of those seasons, however. In recent years, his tournament playing time has been sporadic at best. He is best known for his videos and backyard exploits, rather than his participation in major tournaments. Steffy’s stuff has never been in question. The lack of tangible results has been. There are many plausible reasons why the results have never matched the talent. Injuries, lack of opportunities, and inability to handle pressure have all been brandied about over the years. The reasons ultimately do not matter. All that mattered was that this incredibly talented pitcher rarely – if ever – displayed those talents in a major fast pitch tournament setting. It is too early to state definitively that Sean Steffy’s championship winning, MVP performance at the 2017 Fast Plastic Texas Open completely altered the narrative of his career. It was, at the very least however, a giant leap in the right direction. Steffy was at his most allusive in 2016 and 2017, playing in just a few sporadic tournaments. That time away seemingly did him well. By his own admission, his arm never felt better than it did going into the Texas Open. He was backed at the Open by a veritable all-star team comprised of his long-time teammate Ed Packer, top flight pitcher Ty Wegzryn, and slugger Kevin Norris. Wegzryn – with a two inning assist from Norris – got Cloud9 through pool play without Steffy needing to do as much as lift a ball. The stars appeared to be aligned for Steffy’s long-awaited coming out party at a major fast pitch tournament. Healthy and fresh, he was handed the ball for the elimination round. It was an excellent opportunity to show he could carry his big game stuff into actual big games. 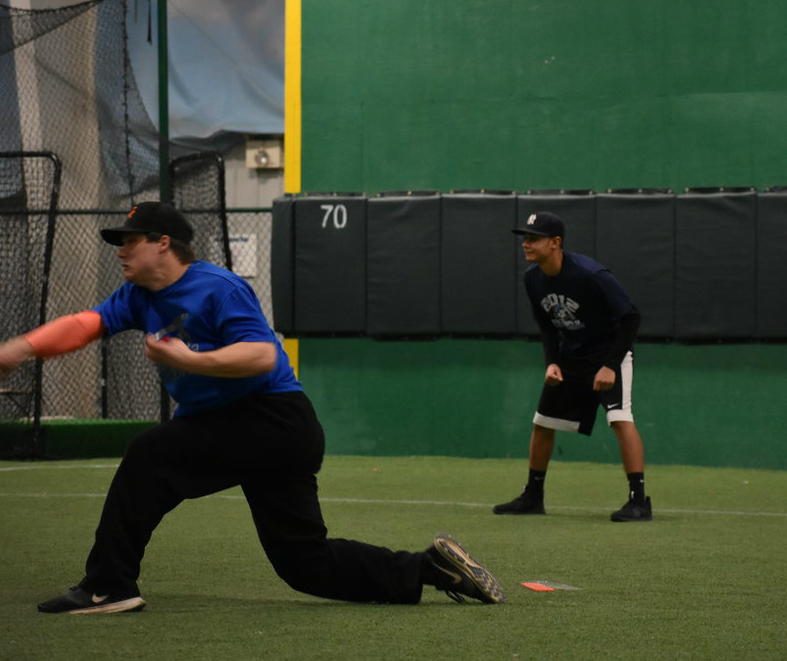 The tall right-hander started Cloud9’s stretch run to the championship by taking the ball in a quarterfinal matchup with the upstart Master Batters. The Master Batters were jittery at the plate and in the field, allowing Cloud9 to jump out to an early lead on several defensive miscues. Steffy didn’t have his sharpest stuff that round (relatively speaking) but was able to work through it and fine tune in what turned out to be a relatively stress-free victory. What came next was anything but. Cloud9’s date with 5-0 Wiff Inc. in the semi-finals was a game that several observers stated could have passed for the championship. Wiff Inc.’s lineup was the most potent in the tournament and more than a formidable challenge for any opposing pitcher. 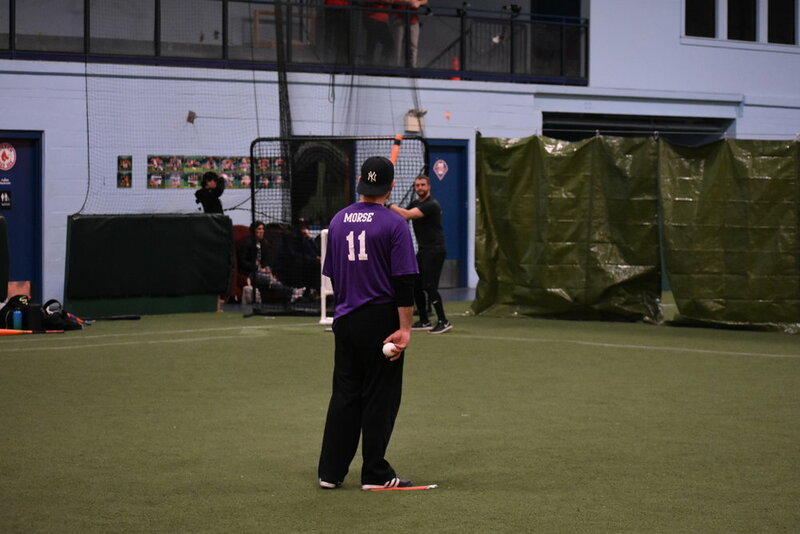 Kenny Rodgers sat out most of the 2017 season but is considered by some – including Palisades WBL commissioner Brett Bevelacqua – to be the best hitter in the game. Anthony Didio’s power complemented Jordan Robles’ professional and patient approach at the plate. 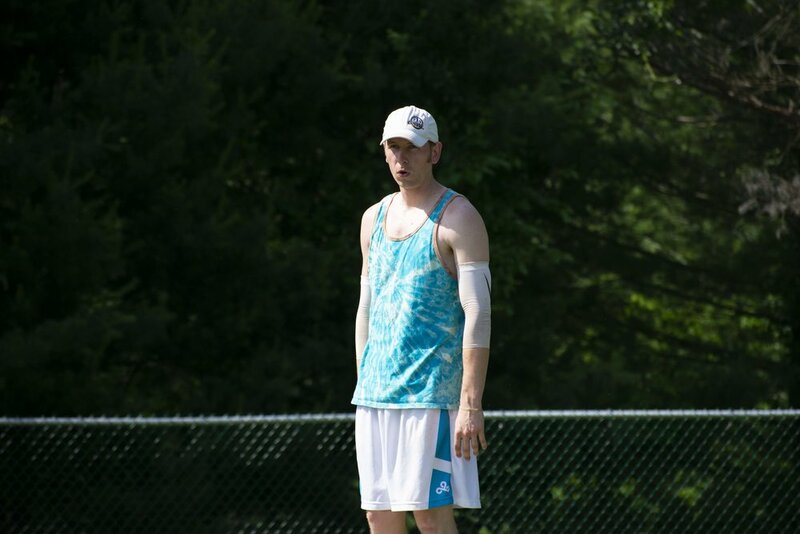 With David “Road Toast” Wood rounding out the lineup, it is fair to state that the Wiff Inc. lineup was among the best Steffy has ever been tested with. He passed with flying colors. 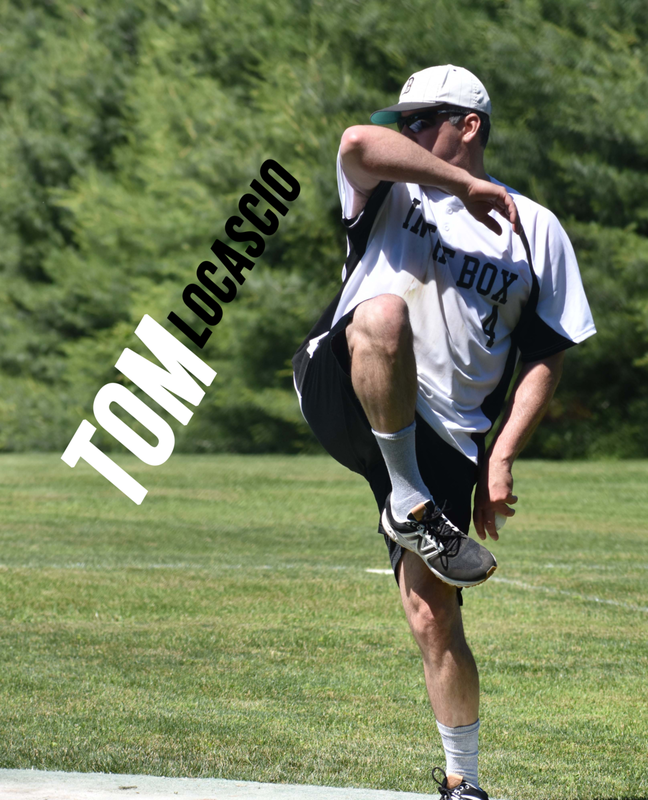 He threw strikes and was around the plate with nearly every pitch, forcing the Wiff Inc. hitters – among the most selective throughout the tournament – into swing mode. Steffy held his opponents to a single hit (error) and a few walks. His teammates spotted him a run in the first and that was all that he needed. Wiff Inc. got only a single runner to second base and were never able to mount much of a rally. Sean Steffy (Cloud9) is interviewed before the championship game at the Fast Plastic Texas Open. Steffy pitched every inning for Cloud9 during the elimination, going 3-0 en route to being named tournament MVP. It was fitting that Steffy’s title game foe would be none other than Josh Pagano. Pagano won a national title in his second year at an Fast Plastic NCT and would add a second three seasons later. Pagano’s career has been marked by big wins and championships – quite the contrast from the man he faced in the championship game in Frisco. The defining moment of the tournament for Cloud9’s ace came in the third inning of the championship. With Cloud9 already up by a couple of runs and a pair of quality innings behind him, Steffy appeared to have everything under control. Then – just like that – he lost his command. Ten straight pitches missed the target. Even more disconcerting was the pitches lacked the zip they had just an inning earlier. He suddenly found himself with the bases loaded and unable to buy a strike. A run would have given the Rookies a major burst of momentum. If you watched this stretch and thought “here is where the wheels are going to come off”, you weren’t alone. Instead, he bared down and worked his way out of the inning in impressive fashion, striking out the final two batters to escape the jam. It was only the bottom of the third but his escape act that inning all but sealed the outcome. Six outs later, it became official. To nobody’s surprise, Steffy was named the tournament’s Most Valuable Player. In addition to the award, trophy, and his share of the $5,000 cash prize, Steffy came away with an accolade befitting of a pitcher with his incredible stuff. 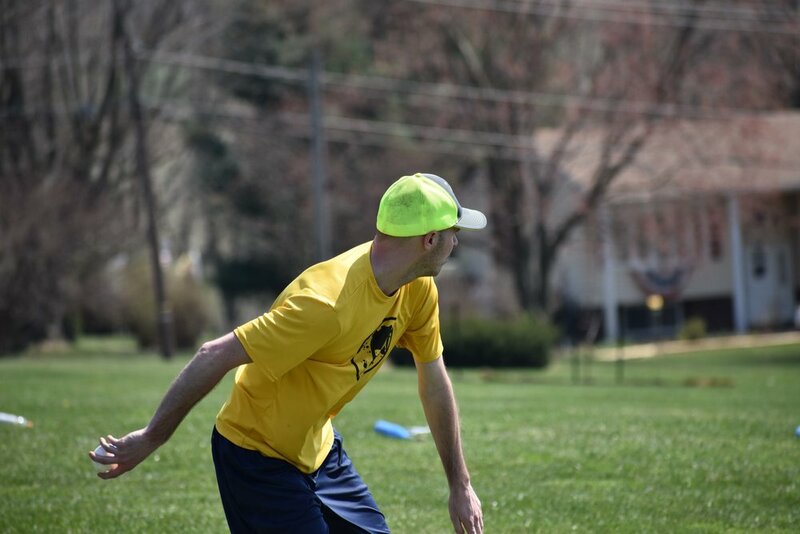 From this point on, he is not “just” the guy that makes the Wiffle® Ball YouTube videos; he is also a Fast Plastic national tournament champion and MVP. The sport could use far more performances from Sean Steffy like the one we saw in Frisco and could use them on a regular basis. There were several players on different teams who spoke excitedly of about getting to step in the box against him and test their mettle. Some never got a chance. Those that did are almost certainly itching for another shot. We know after Saturday how dominant of a pitcher Sean Steffy can be over a 15 inning stretch. 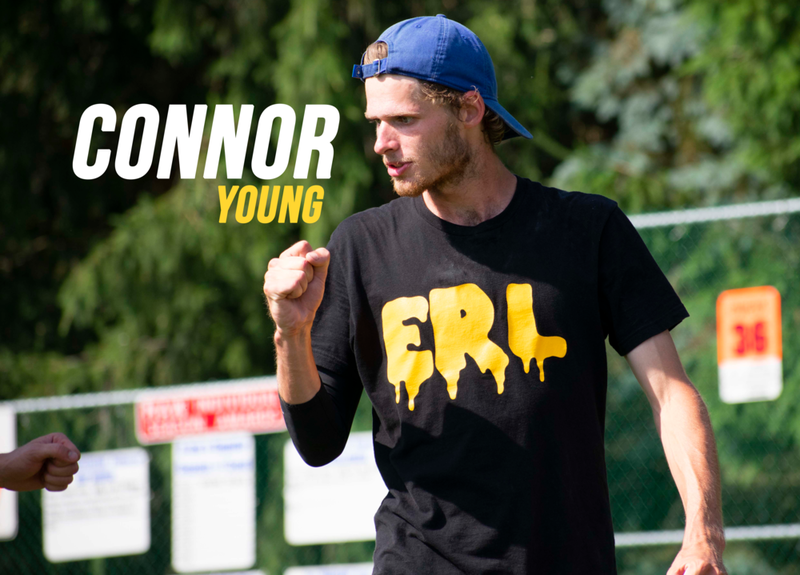 How great would it be to see those battles – against the Kenny Rodgers, Josh Paganos, and Jordan Robles of the world – over an entire summer? Saturday was a heck of a day for the game’s most prolific pitcher. Here’s hoping that it wasn’t a one and done, but rather a sign of things to come. We saw how dominant Steffy can be over three pressure packed games, now its time to see it over the course of a full season next summer.